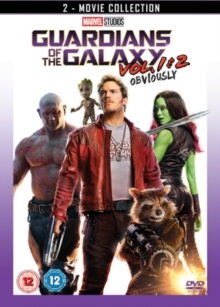 Double bill of sci-fi action adventures starring Chris Pratt, Zoe Saldana and Dave Bautista as the Marvel Comics superhero team known as the Guardians of the Galaxy. 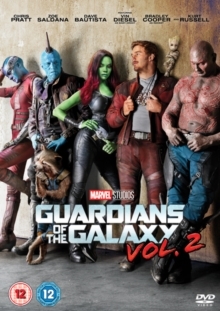 In 'Guardians of the Galaxy' (2014) pilot Peter Quill aka Star-Lord (Pratt) steals a mysterious orb, only to find himself the target of the villainous Ronan (Lee Pace) and his allies. 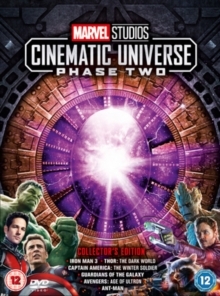 When Quill learns of the orb's powers and the danger it could bring to the galaxy, he teams up with alien Gamora (Saldana), warrior Drax the Destroyer (Bautista), tree-like humanoid Groot (voice of Vin Diesel) and raccoon Rocket (voice of Bradley Cooper) in an attempt to prevent a disaster. In the sequel, 'Guardians of the Galaxy: Vol. 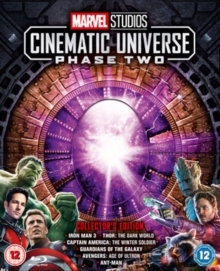 2' (2017), Peter Quill leads his team of unlikely heroes as they continue their adventures throughout the darkest reaches of space. 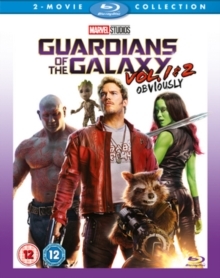 While struggling to keep their new-found family together, the gang come up against all manner of foes as they attempt to help Quill solve the mystery surrounding the true identity of his father. The cast also includes Kurt Russell, Karen Gillan, Michael Rooker and John C.